“Game of Thrones” fans can celebrate more than just Sunday’s premiere of the HBO series’ final season. 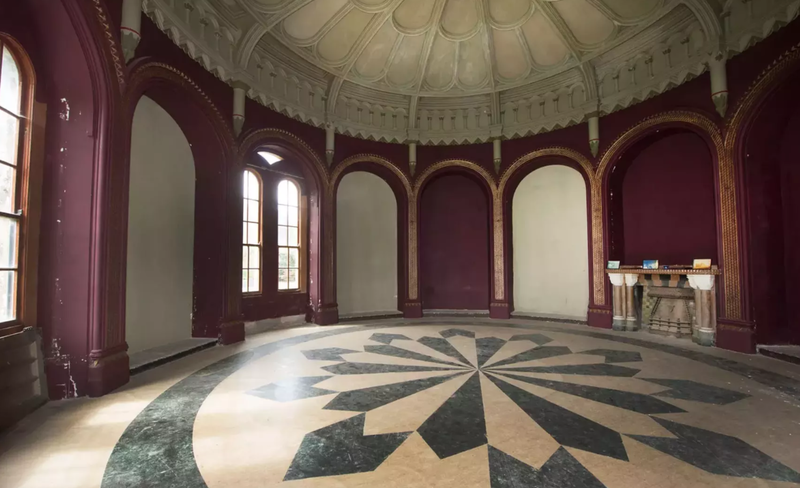 Gosford Castle, the grand Northern Ireland estate shown in Season 3, has hit the market for approximately $650,000. The castle, which was built in the mid-1800s for the second Earl of Gosford, Archibald Acheson, has made numerous cameos in the iconic HBO show “Game of Thrones.” It has been used as a backdrop for several violent scenes in the third season of the show and it was the location of the infamous Red Wedding massacre as well as Robb Stark’s execution of Rickard Karstark. In the show, it is known as Riverrun Castle. Maison Real Estate has set the starting listing price at £500,000, or approximately $656,452. The impressive castle takes one right back to the days of old. It sits on 590 acres of forest land and has fifteen bedrooms, 10 bathrooms, and is built in the Norman Revival style of stone walls, gates and turrets. Of course, buying a castle comes with a few technical challenges — the building’s age and isolated location means it comes with no heat or air conditioning. But if you’re looking for history, this is the place. Before “Game of Thrones,” the estate was passed down to generations of the Earls of Gosford until 1921 and then served as a camp for prisoners of war during World War II. It was briefly turned into a forest park before the military started using it again during “The Troubles,” a long-running conflict between Ireland’s Catholic and Protestant population that started in the 1960s and lasted nearly three decades. Courtesy of Maison Real Estate. Article image credited to Maison Real Estate/Inman Art.